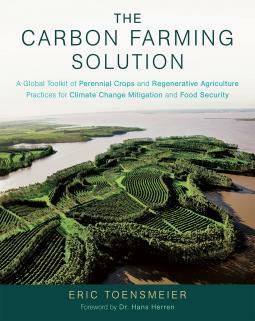 I just received Eric Toensmeier’s Carbon Farming Solution, A Global Toolkit of Perennial Crops and Regenerative Agriculture Practices for Climate Change Mitigation and Food Security (Chelsea Green, 2016). Reading this, along with Peter McCoy’s mind-blowing Radical Mycology, as well as the third US Department of Energy Billion Ton Report (just released today), and also listening to presentations such as the one in Concord last week, on carbon sequestration by a group called Biodiversity for a Livable Planet, I realize I feel optimistic again. Cautiously optimistic, of course. And not hopeful. I love it that none of the writers of the blurbs and reviews on the back of Toensmeier’s book use the word “hope”. They use instead “opportunity”. This is so very important to me. Early on, in all these years of doing to work – educating myself and others and practicing it – I did away with hope. I am one of those people who, in Transition Inner Work and Work That Reconnects gatherings, has an almost visceral reaction to the word. The concept (we call it a feeling – “I feel hopeful” – but I doubt it is one, I think it is instead a cultural construct) is useless to me and, I fear, destructive to what needs to be done. In most cases, hopeful people just don’t allow themselves to be upset enough to get off their asses and start doing the work. Their hope that “it will work out” (notice the expectation in this expression that the speaker doesn’t have to do anything) is based on fear – fear of work, fear of failure, fear of having to give up entitlements, fear of guilt. To combat this fear, they use more hope, the third in the trinity of cope and dope. That’s the thing with hopium: when the buzz wears off, it makes you believe that all you can do to make it better is to take another hit. 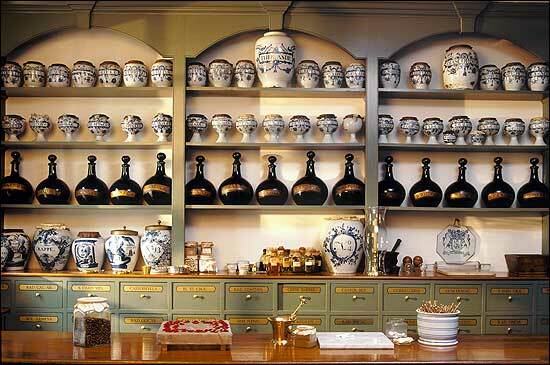 It is not based on scientific data, on a real community and fellow-feeling or, most importantly, on actual work. And it is only by work, now, that we build the future, but “I hope” keeps putting it off. This made, and makes me, angry, and obviously I stopped going to these workshops which inevitably end on the hopeful note. Not that I advocate hopelessness. Hopelessness too leads to despair and paralysis. No, I reject the false choice between hope and hopelessness. What I have instead is work, because it has to be done, because it is the right thing to do, regardless of the outcome. I opt for now, put all my eggs in the basket of now, not some hoped-for (or despaired-of) future. I don’t count on hope, but on joy. Hence the subtitle of this blog, the quote from Wendell Berry: “Be joyful though you have considered all the facts”. That joy is now growing, because some of those facts have changed. Namely, it is increasingly becoming clear that, if we work with her, the earth can sequester the excess carbon that we already put in the atmosphere. This was the missing piece, the missing fact. Previously we feared that, even if we stopped putting carbon in the atmosphere, we’d still be dangerously overheating because of our past emissions, which are called, powerfully, “legacy carbon.” I am awed and convinced that the earth, the soil, the soil bacteria and fungi and plants can do it. In fact, it doesn’t surprise me at all, but here now we have scientifically convincing proof. So can carbon farming alone solve our climate change problem? Not even close. Carbon farming doesn’t work without dramatic emissions reductions (including clean energy an reduced consumption in wealthy countries), as even a small fraction of the remaining 5 to 10 trillion tons of carbon in the fossil pool would far overwhelm the theoretical maximum sequestration capacity of soils and biomass, estimated at 320 billion tons. (note) Emissions reduction also doesn’t work without carbon farming since even if emissions stop today, we’re already over the tipping point with no way to return without sequestration. This isn’t hope, this is opportunity. And what Toensmeier gives us in this book is also not hope, but a toolkit. The opportunity and the toolkit are here: you grab it now and get to work. Or not. I know what I’m going to do. You? (note) Rattan Lal, “Managing Soils and Ecosystems for Mitigating Anthropogenic Carbon Emissions and Advancing Global Food Security,” BioScience, 2010, 60, 9, pp.708-721. (You can read this fascinating paper here).